Oh, the little girl obsession with Hello Kitty. I’m not sure what it is about her, but she sure is loved. This little character has been around since I was a little girl. I loved her then…my sister loved her even MORE, and now my girls love her too. 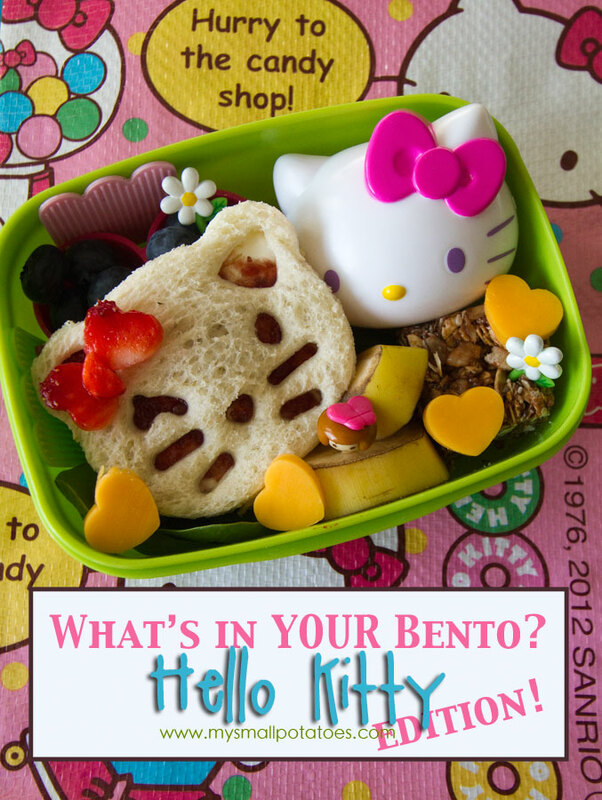 I was only a matter of time until she made an appearance in the bento box… *The Hello Kitty plastic drop cloth shown in this photo was one I purchased in Japan. 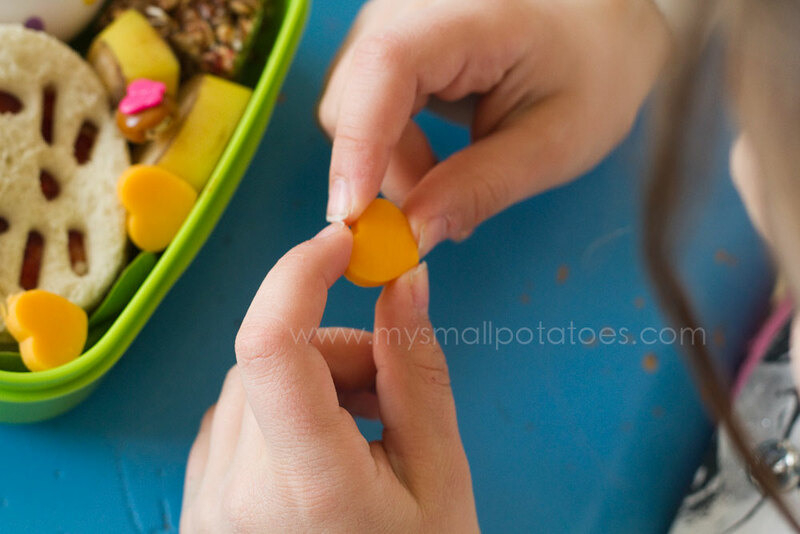 My little girl takes it with her to school in the spring and fall, as they often eat snack outside on the playground. The mat is for sitting on and keeping the dirt off your lunch and yourself. As soon as I find an online connection for purchasing these mats, I will let you know! Now let’s get into the goodies inside this lunch… The flower food picks were purchased HERE at BentoUSA. 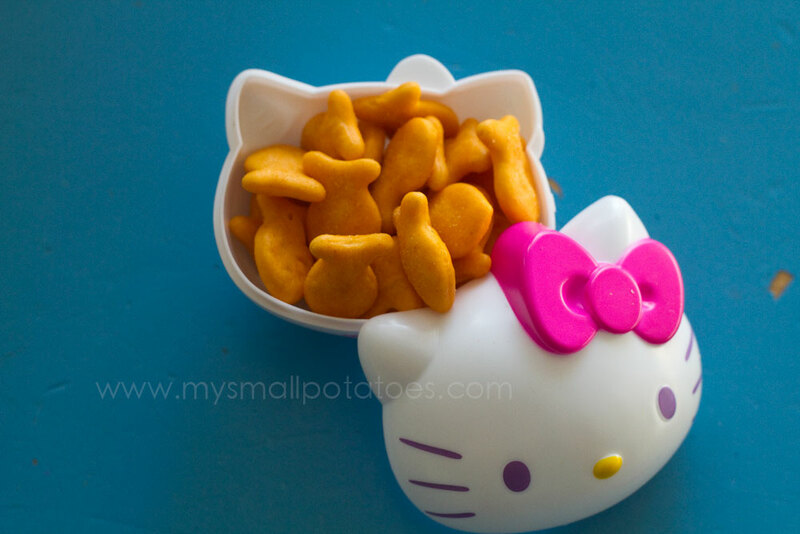 The cute little girl food pick can be purchased HERE. The sandwich was created with a sandwich press also purchased at BentoUSA and you can learn all about purchasing it and using it in THIS POST at Small Potatoes. 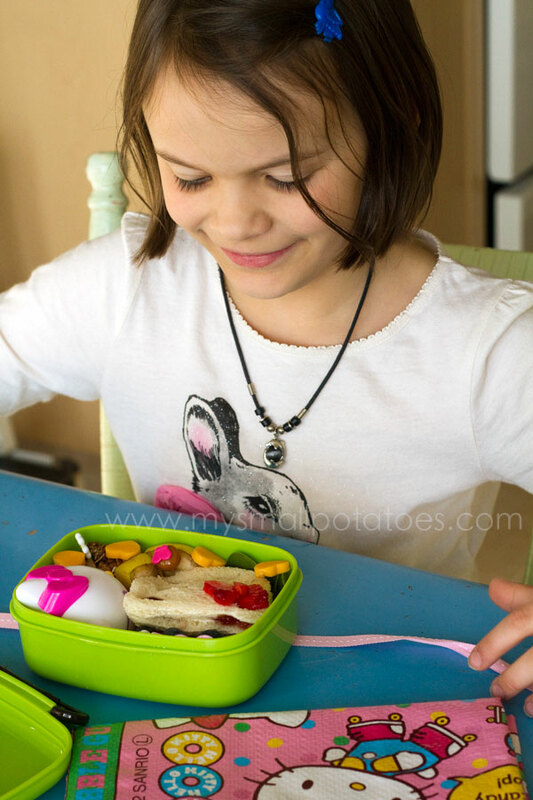 The little Hello Kitty container was purchased at our dollar store during the Easter season…it’s actually a Hello Kitty shaped plastic Easter egg. I spotted it and immediately thought, “BENTO”!! 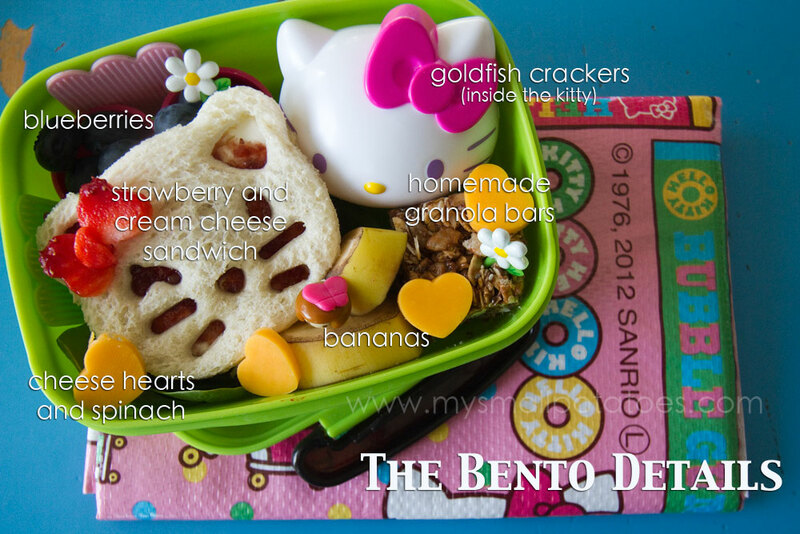 As you can guess, this lunch was much adored by little Coco… She especially loved the little tiny heart cheeses… Thank you so much for stopping by, and Happy Bento-ing! 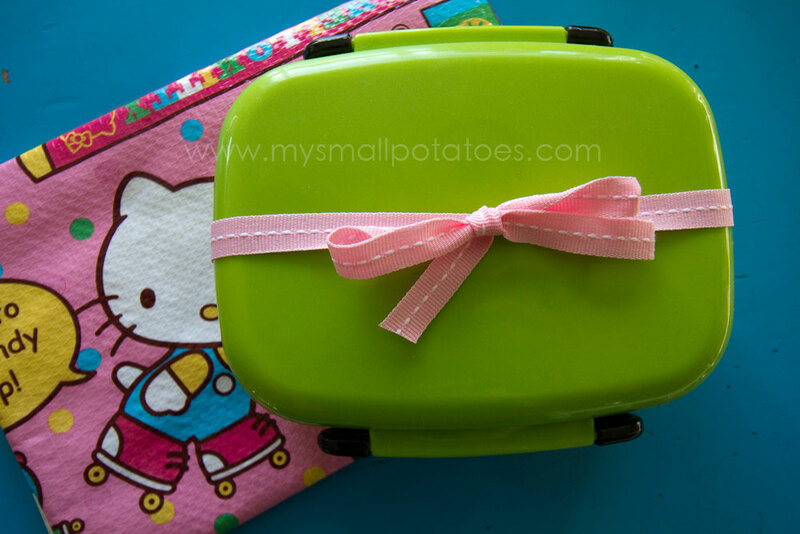 Posted in Bento Boxes, Childcare, creativity, Early Childhood, Education, Fussy eaters, Girls, Imagination, Inspiration, Japan, Lunch, Meals, Nutrition, picky eaters, Uncategorized, What's In YOUR Bento?